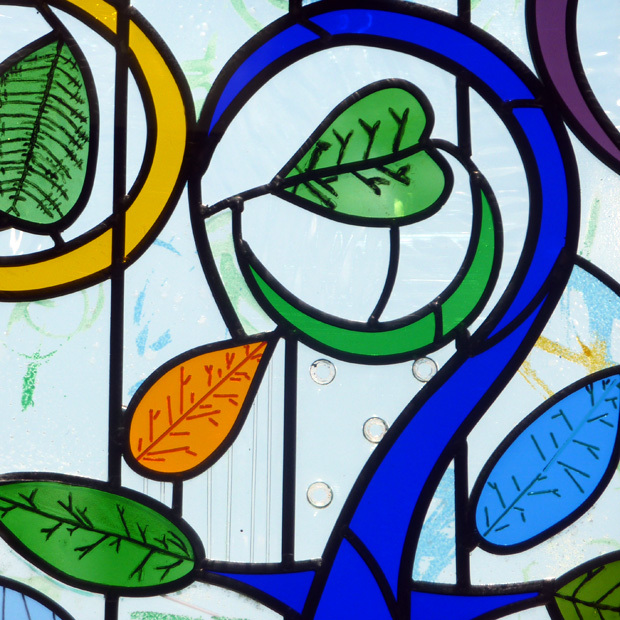 We were invited to Woodside Community School, Dudley to work on two stained glass windows, one of these with the gifted and talented pupils from Year 6. 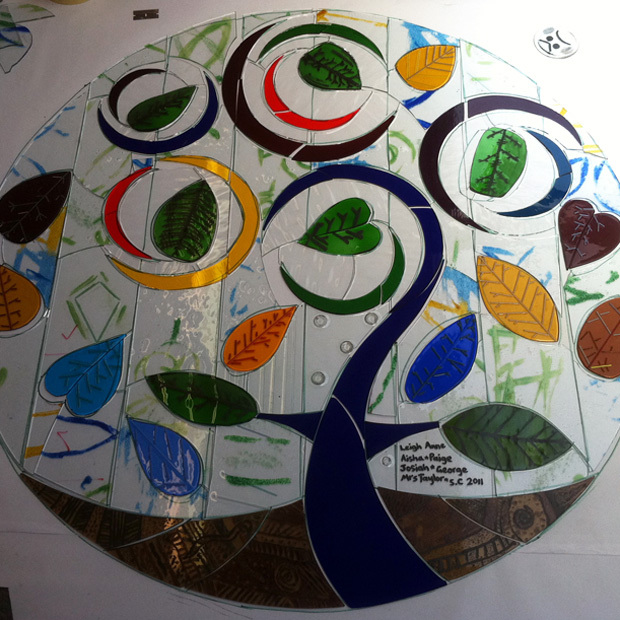 We helped the pupils design the window based on the school logo the “Tree of Life”. The concept behind this being the school is the tree that nurtures talent and rewards hard work. 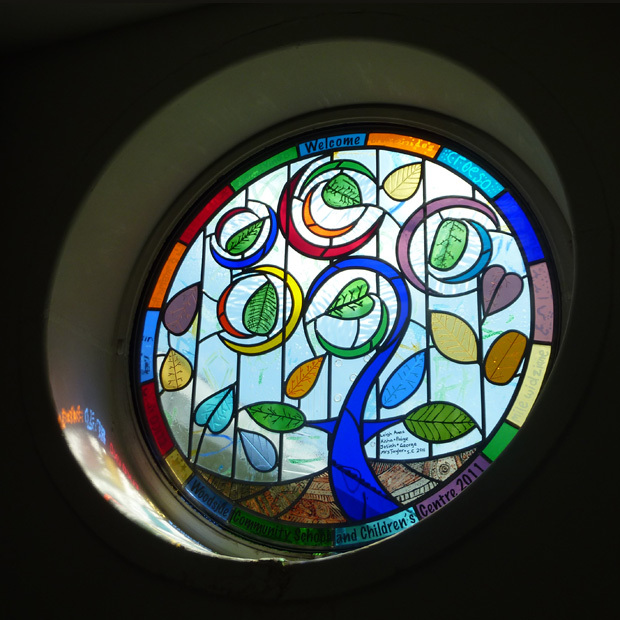 The pupils created the window over a 10 week period during after school workshops through painting, fusing and slumping techniques. 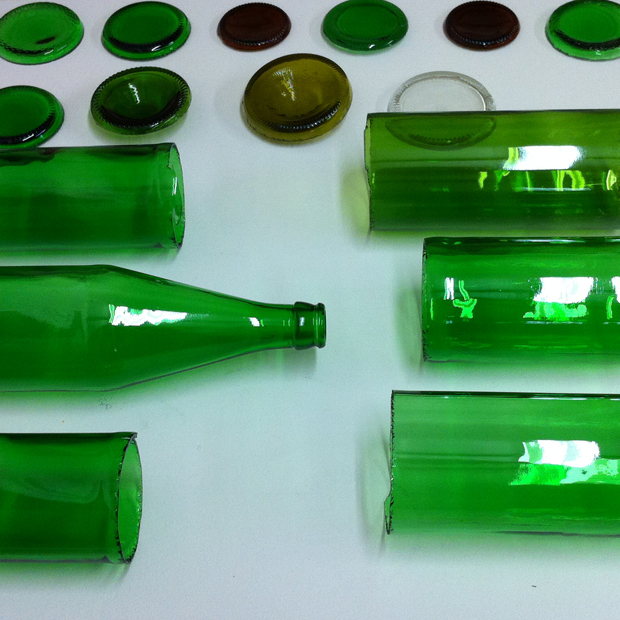 We then leaded this into a window, sealed within a double glazed unit the outside face being 6mm polycarbonate for additional protection.